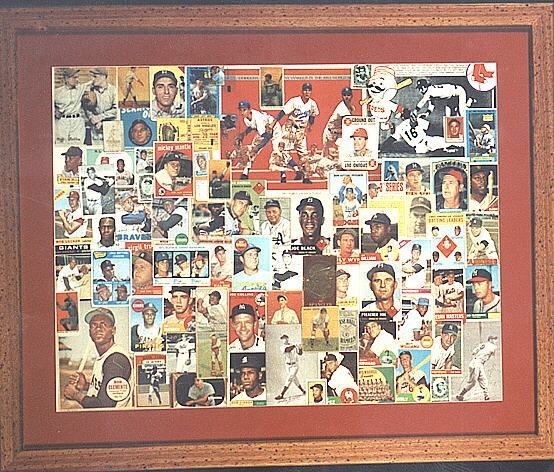 Vintage collage art using vintage cards, insert items and other memorabilia! I have started to make these great pieces using some of the old cards that in some cases have minor damage, or back damage, or no problem at all, just are inexpensive. They are framed and matted, they are about 30" X 36" when finished, with the actual size of the art being approxamatly 22" X 28".